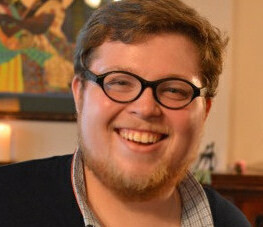 Cody Maynus is studying monastic spirituality and history at Saint John’s School of Theology and Seminary. He is presently discerning monastic life in the Episcopal Church. 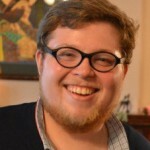 He is a former Visitation Volunteer Intern. This piece is re-printed here with permission. It runs concurrently at the Seeing the Word blog, published by St. John’s School of Theology. 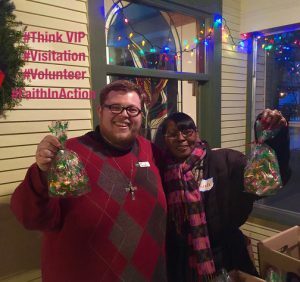 Visitation Resident Lay Community: Meet the Founders! 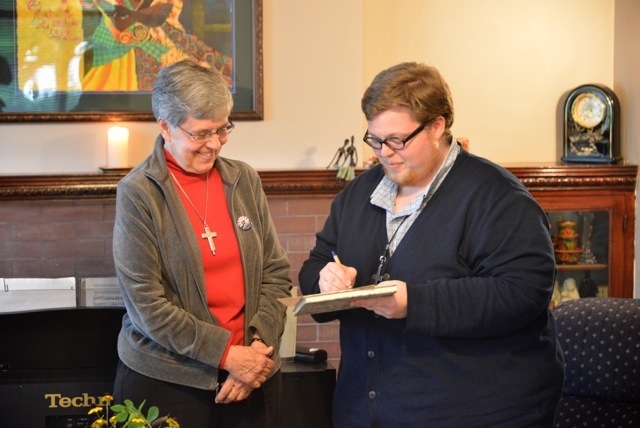 On Sunday, January 24, 2016, on the Feast of our co-founder St. Francis de Sales, we celebrated the commissioning of Aimee Fritsch and Heidi Schleif as the first two members of Visitation Resident Lay Community. 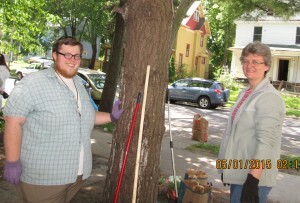 What follows are their statements of commitment and a bit about their callings to found the lay community in north Minneapolis. -to growing closer to God through personal and communal study and practice of Salesian Spirituality. -to living in community where we support each other in being who we are and being that well. Three years ago I moved into an intentional community for the first time. It was a 25 person Christian community located in an old fraternity house next to the University of Oregon. 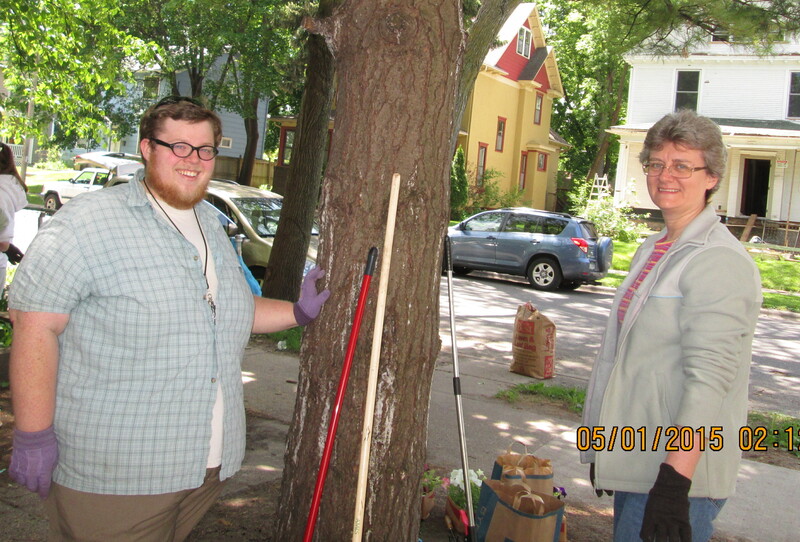 Christus House showed me the value of this community, and after living there for a year and a half while I finished my degree, I then moved across the country, into another community, as a Jesuit Volunteer in north Minneapolis. 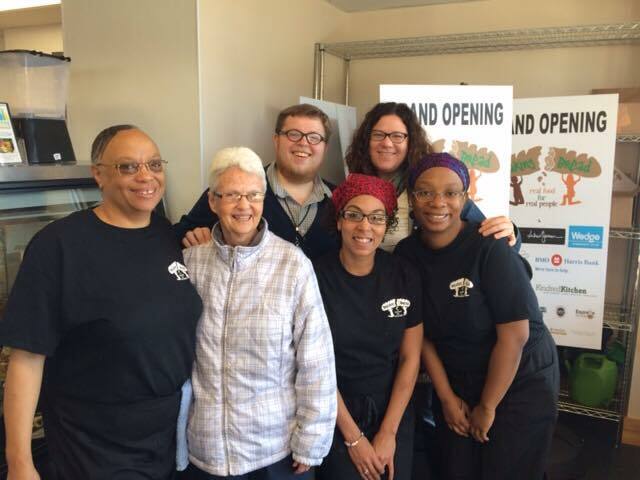 As a JV I was placed at Listening House, a drop-in center for homeless and low-income adults in downtown St. Paul. 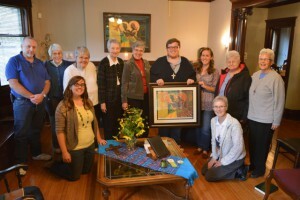 This ministry of presence has made my life so much richer, and I am very thankful that I was asked to stay on staff upon finishing my year of service and beginning grad school at the University of Minnesota. I’m also so grateful to be able to continue to live life in community as a part of the Visitation residential lay community. Community is a home for hopes, dreams, sorrows, frustrations, and joys, and in community I am better at being who I am, and being that well. 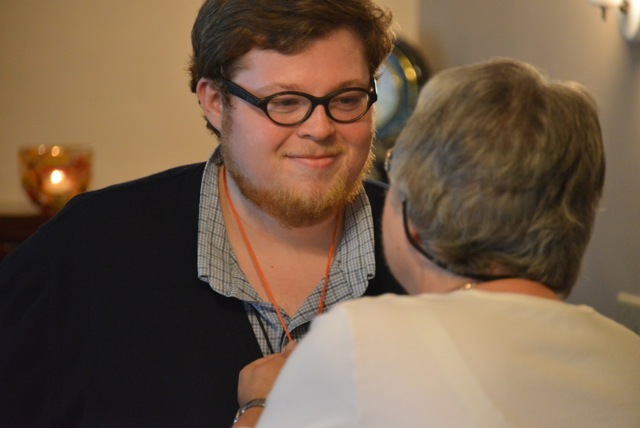 I had experience living in community during my year of service in Ecuador through the program Rostro de Cristo (Face of Christ), and I also lived in community with Cody Maynus last year during his year with the Visitation Intern Program. I currently work at the Church of St. Gerard in Brooklyn Park as the Children’s Ministry Coordinator. I believe that it is very important to acknowledge that everyone who is a part of the Church, not just women and men religious, is called to live out their spirituality in every aspect of their lives and that lay people really have to claim that—each in their own way—in order for the Church to really be as strong and vibrant as it can be. Sharing in community as lay people is what makes us strong and helps us to figure out where we fit in the world and what God is calling us to do with our lives as well as how God is calling us to live our lives. The support and friendships from my communities in the past and the sharing in challenges together has helped me immensely to become the person I am today, and I am very excited to continue living in community through the lens of Salesian spirituality and the specific challenges and joys that come along with being part of the north Minneapolis community. These background articles first appeared in our Winter, 2016 Newsletter. How many ways are there to be community? 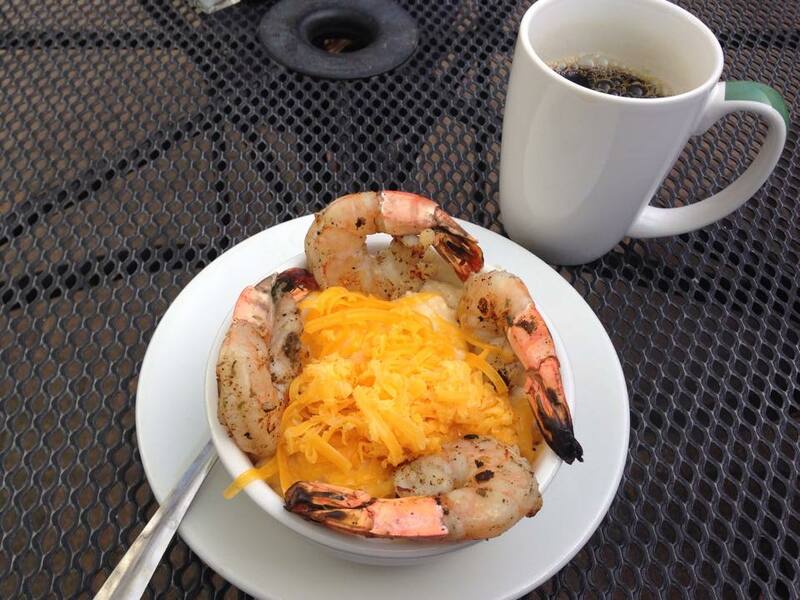 Cheesy grits topped with cajun shrimp. An herbed biscuit paired with a freshly brewed cup of coffee. Fruit, yogurt and granola parfait next to a side of over-easy eggs. All served on an outdoor patio along West Broadway in North Minneapolis. 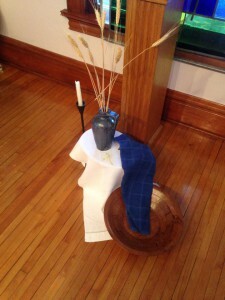 It’s not the usual scene for our communion table, nor typical Eucharistic feast — but it is where I experienced a sacred meal this past Monday morning that took me into the heart of a Eucharistic celebration. Together, with members of the Visitation Community, in the heart of the northside community: we broke bread; we enacted a sacred ritual. As riots were breaking out in Baltimore last week and protest marches were held across our nation, a northside organization called Appetite for Change held a grand opening for its latest operation called “Breaking Bread Cafe.” With its mission to “use food as a tool to build health, wealth and create social change,” the cafe opened just three blocks north of the monastery — almost like a prayerful response to the unrest in our world. This is where Sr. Katherine Mullin, our monastic immersion resident Brenda Lisenby, Visitation intern Cody Maynus and I dined on Monday morning. We sat outside on the patio facing west Broadway, our dining area sharing a border with the headquarters for Minneapolis Public Schools — situated across the street from Shiloh Temple — where Barway Collins’ funeral service was held two days prior. Together, in this space, we broke bread. In the literal sense, we split an herbed biscuit and savored bites of the comfort food. In the figurative sense, we became Eucharist for one another– sharing stories, our joy, our heart’s questions and longing. We talked about poverty and violence. We mused on missionary work and ministry. We reflected on sustainable programming and our roles in service work. We wondered about past, present and future vocations. 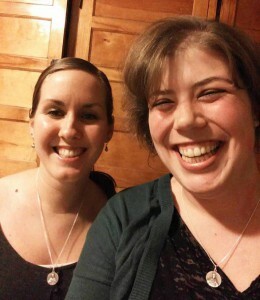 We laughed at ourselves and said “Amen” — all in the space of an hour spent leisurely lingering over our communion food. 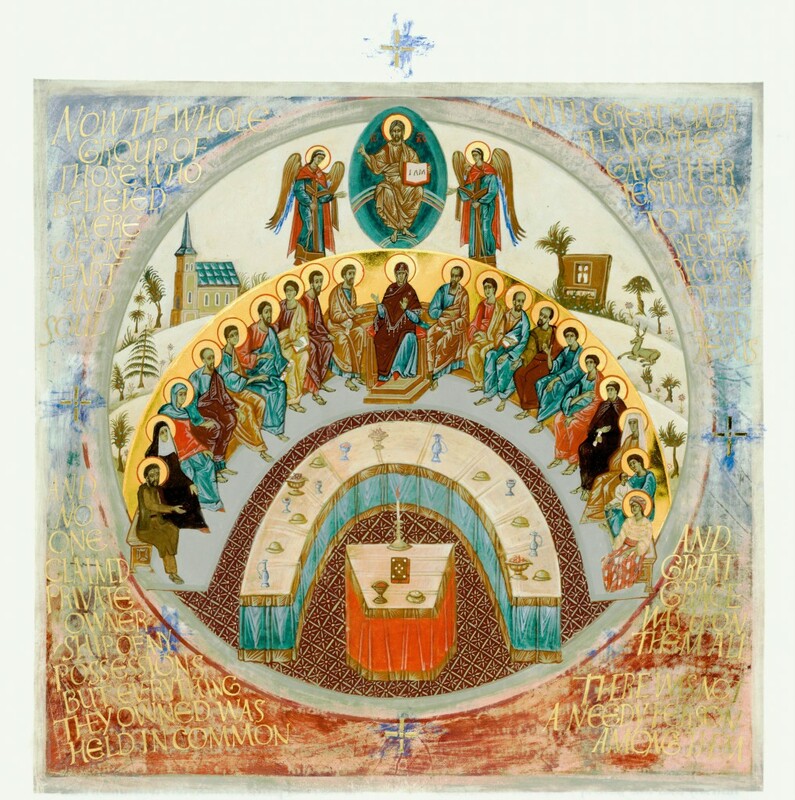 It makes me wonder: How many ways are there for us to enact the Eucharist? To be the body of Christ — communion, community, food –for one another? As we go about our respective days, in what ways do we consciously “LIVE+ JESUS” – as our co-founders St. Francis de Sales and St. Jane de Chantal urged? And: when Appetite for Change’s founders had the vision for “Breaking Bread” as a youth training and employment program, who came up with the name? How many religious and secular traditions have bread at the center of transformation and healing? These questions, this meal, still continue to feed me and inform my prayer. I encourage your own contemplations of holy dining experiences, at this new northside cafe, and at your own local tables. Hello! My name is Cody Maynus and I’m serving as the Sisters’ Visitation Intern for the 2014-2015 term. I said “YES!” to the Sisters’ invitation to move to North Minneapolis, to serve my neighbors, to be the hands and the feet of the Sisters in the neighborhood, to study a 400-year Salesian spirituality, to pray, to weep, to love. And it has been the best decision of my entire life! I have a pretty ecumenical background, but I’m a member of the Episcopal Church and am in the process of discerning priesthood. I studied English, theology, and gender studies at the College of St. Benedict| St. John’s University. Before moving to the northside, I served for a year in New Haven, CT with the Episcopal Service Corps. In my spare time (of which there is only a little bit), I like to read, write, and bake. 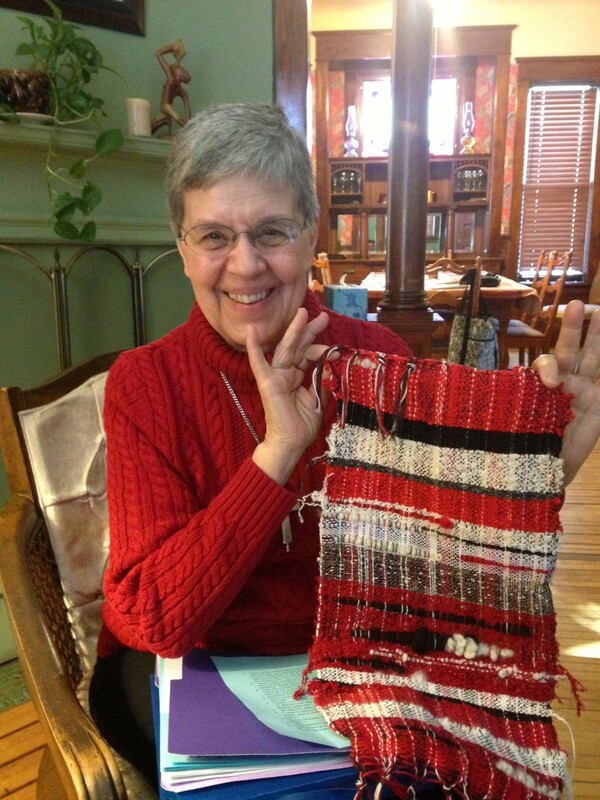 My week is usually divided up between Patchwork Quilt‘s after-school program, Ascension School, Alafia Place, and a small, young adult night prayer which I started. I also spend a considerable amount of time at the Monastery greeting Jesus when he rings the doorbell and helping out the Sisters in their various projects. Read about Cody’s commissioning ceremony and his Commitment Statement. Few laypeople can compare to the Visitation Sisters in joy, peace, and hospitality, but that doesn’t mean we can’t try. In fact, if we’re aiming for Heaven, Salesian spirituality is a good place to start. Who can find God without simplicity or humility? Fremont Ave N, Minneapolis, Visitation Monastery. There, the Sisters got me all hooked up with the perfect job: volunteer work, forty hours per week, living two blocks away from the monastery so that they can keep an eye on me. Here on the Northside, I get to tutor children, visit seniors, and facilitate office operations (phone calls at a non-profit donation organization, etc.). I also get to study Salesian spirituality from the women who know it best, and Sister Mary Virginia is even going to teach me Spanish. What do the Sisters get in return? (I clearly get the better half of the deal, but don’t tell them that!) While they manage the house and provide reliable hospitality to their neighbors, I go spread the word that their gracious household exists. I get to be the “Out Sister,” going where the Sisters cannot go and witnessing to those who would not otherwise see. In the likeness of Saint Francis’ favorite animal, the Visitation Sisters are the queen bee, loving and blessing those who come to their door, while I am the worker bee, gathering those to be loved and blessed. Organizations on the North Side have been blessedly welcoming. Of the six where I volunteer, four were eager to turn an acquaintance with the Sisters into a fuller partnership, and the other two were excited and generous in their response “No, I don’t know the Sisters, but bring them here; I want to meet them and show them around!” Through these organizations, I get to care for the community just as the Sisters would if they had an extra forty hours each week. 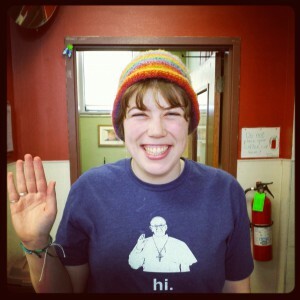 Sometimes this vocation involves simply greeting people on the street. Sometimes it’s a subtle suggestion, like when children ask about the faces on my necklace and I get to introduce them to Saints Francis and Jane. Sometimes it’s a loud and clear announcement that I’m with the Monastery and you should come check us out! In the year to come, I’ll get to hang out with the Sisters, help them, and learn from them. I’m relieved to be serving instead of earning money. I’m excited to adopt a lifestyle steeped in Salesian spirituality. I, a layperson, get to live life to the holiest. 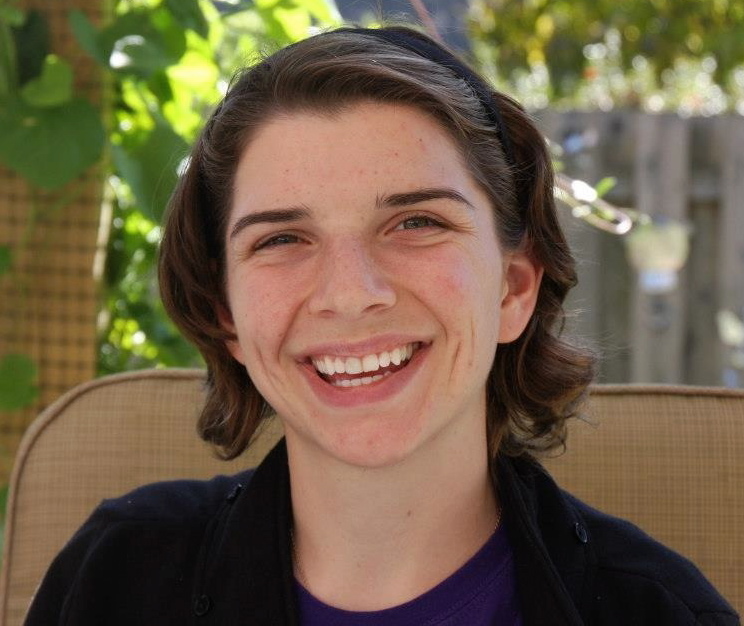 Beth Anne is originally from Woodlawn, a neighborhood in the Bronx, New York. She is very close to her parents and her older sister, all of whom still reside in NY. 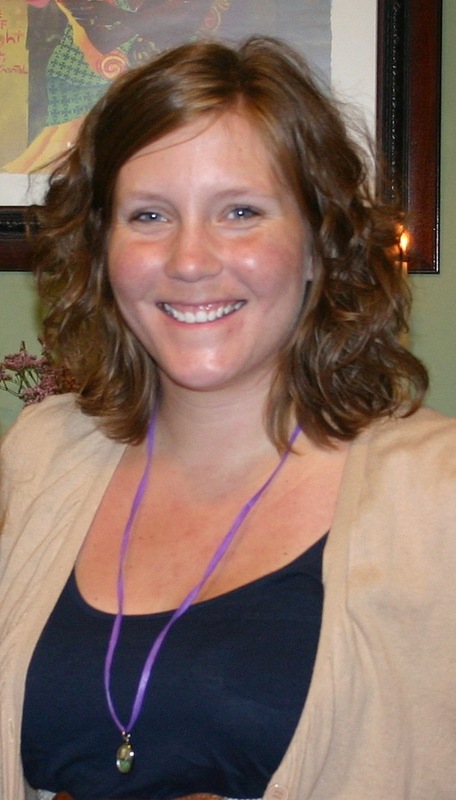 Beth attended Hope College in Holland, Michigan, where she studied pre-med, pre-physical therapy and social work. Beth Anne is very excited to be joining the VIP program and is looking forward to a year of spiritual growth. She intends to spend time in studying Salesian spirituality and in prayer. She also looks forward to listening to where God is calling her to be. “As my Mom so wisely said, ‘If you grow just one step closer to God during this year, it will have been a success.’ So I guess that is what I am striving for, just a baby step closer to God, “ said Beth Anne. 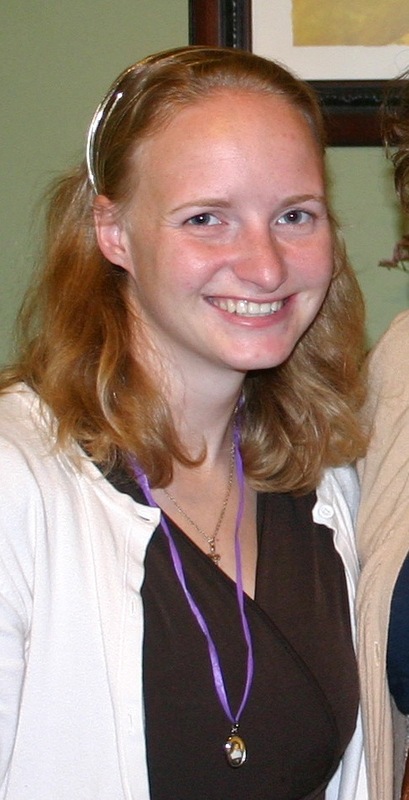 Please join us in welcoming Beth Anne to the Visitation community! Kelly is originally from Chaska, MN. Her parents have been married for over 35 years and still live in Chaska, and Kelly has a brother and a sister-in-law who reside in Fort Collins, CO. Kelly attended Augustana College in Rock Island, IL where she obtained a degree in Political Science & Sociology, with minors in Social Welfare and Psychology. Please join us in welcoming Kelly to the Visitation community!